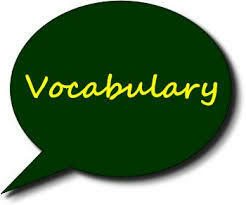 Environment Vocabulary - Learn new environmental words. We need to do more to protect the environment from pollution. Using cars and burning coal are examples of things that may cause environmental problems for all of us in the future. He says using environmentally friendly washing powder means that fewer chemicals go into our waterways every year. She’s very green, she never drives a car. She bikes everywhere. She’s an environmentalist. She believes that planting trees will help slow down global warming. She’s been on three international flights this year, so she’s worried about her carbon footprint. Many of the workers complained that the pollution from the factories was making them ill.
We use the bottle bank in town to recycle our green, brown and clear bottles. It’s possible to recycle plastic drink cups to make pencils. Even though organic food is a bit more expensive I think it tastes so much better because they don’t use any chemicals in making it. To conserve electricity, he turned his central heating down and wore more clothes instead. Everyone says they think wind farms are a good idea but no-one actually wants them near their house because they make such a racket.